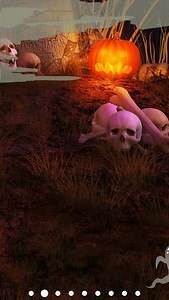 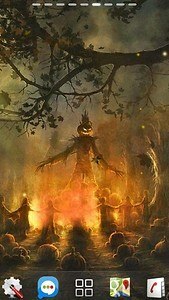 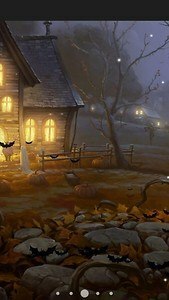 We invite you to witches coven, on the feast of the Halloween, the eve of All Saints Day. 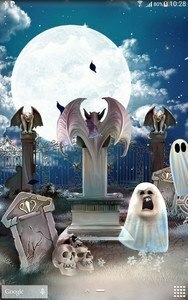 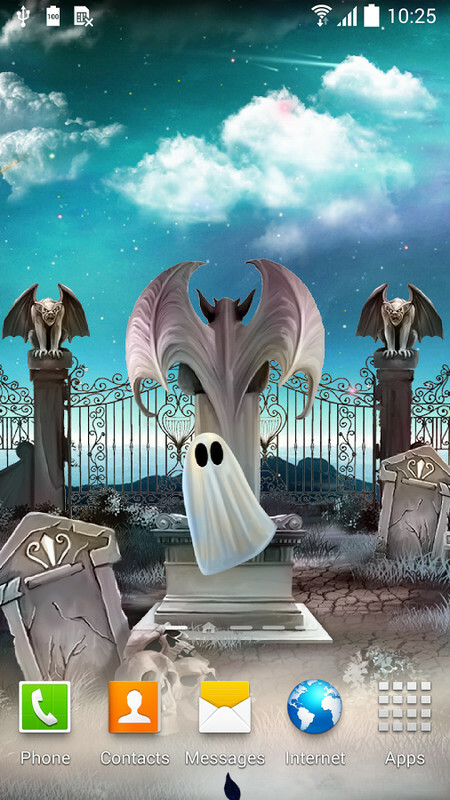 Let's walk through the Gothic cemetery, look at the haunted house, accompanied by bats, witches, ghosts and spirits. 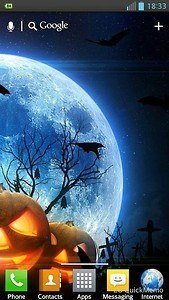 Enjoy the starry sky at night with a full moon. 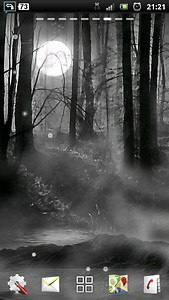 The whole world and nature are embraced with mysticism and magic. 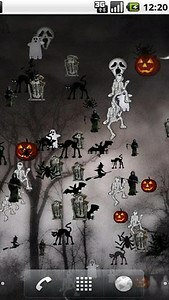 Today spirits and other supernatural creatures are among us. 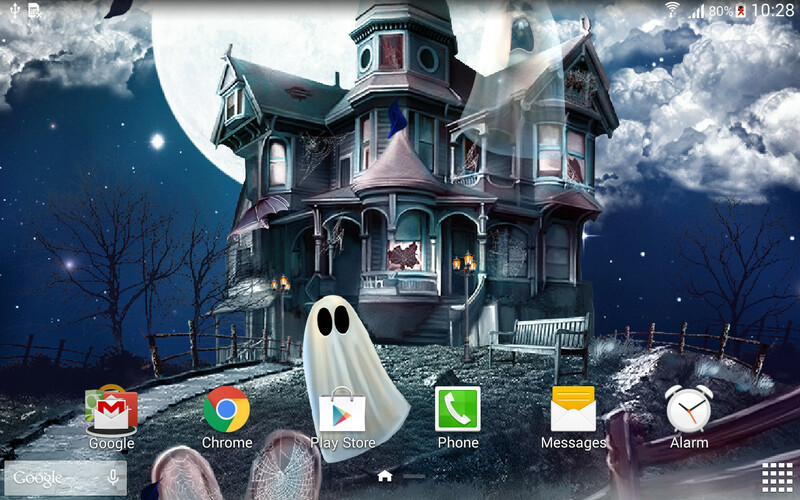 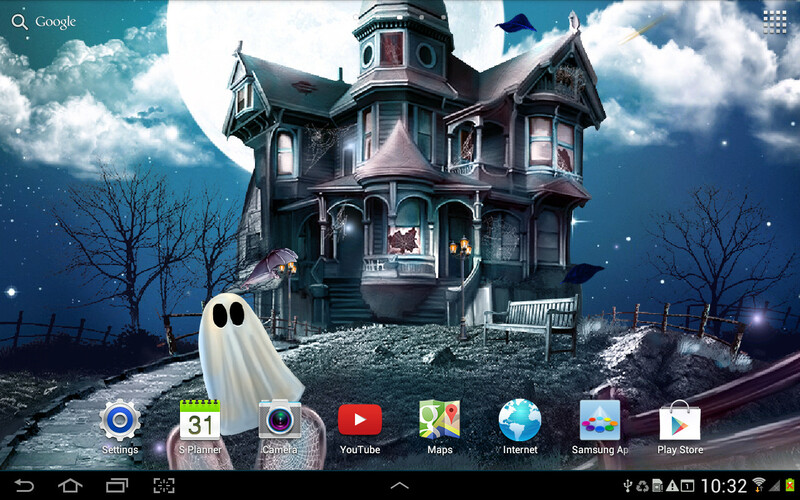 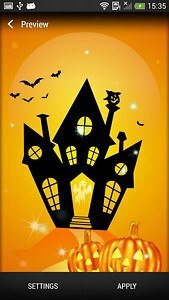 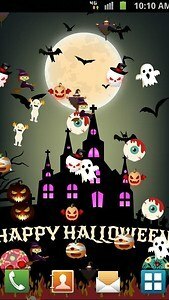 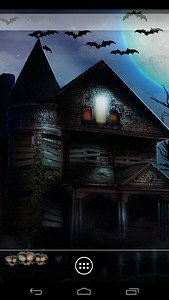 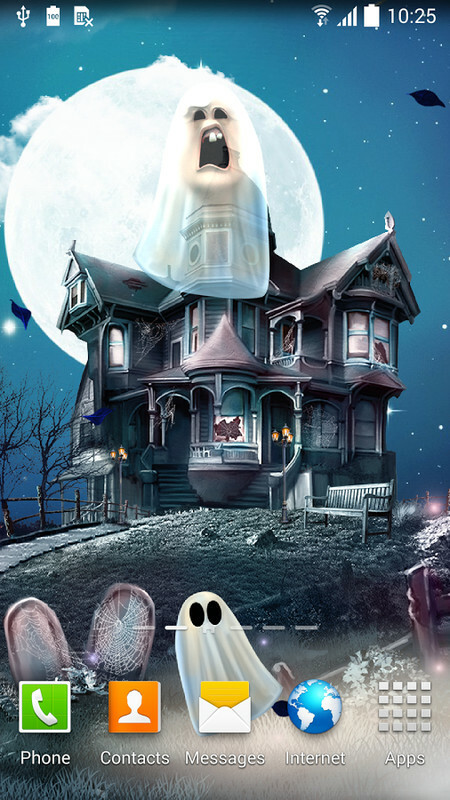 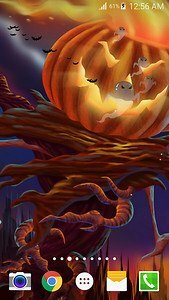 Animated live wallpaper "Halloween" for Android will create an atmosphere of the Halloween night. Lots of settings and dynamic effects will give your smartphone or tablet a new unique look. 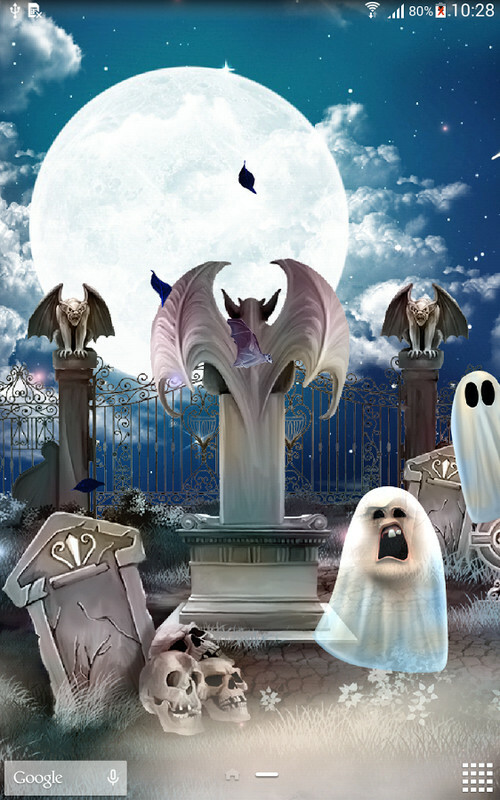 Excellent graphics will please your eyes for a long time. 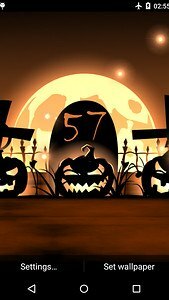 We hope you will have a great feast of All Saints Day .